Not too long ago I posted about the Beauty Weekend that Boots were going to be holding in partnership with Macmillan cancer support. 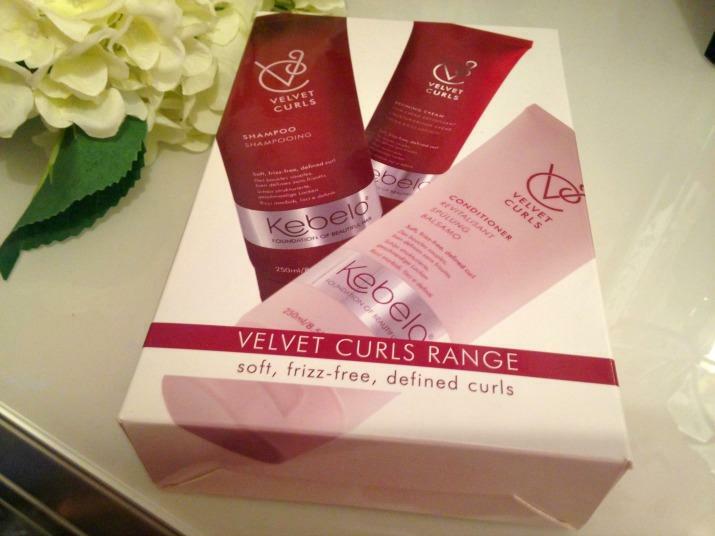 Wanting to make my own donation and have a nosey at all the exciting things going on in-store, I headed to Boots Trinity on the Saturday. My first stop was to visit the N07 counter for a makeover with Jo, a Boots Beauty Macmillan advisor. This was a great opportunity for me to find out what the role of a beauty macmillan advisor entails and also a chance to indulge my not so inner beauty addict and discover the makeup side of N07. I have only ever tried and loved their skin care, so it was about time I got around to sampling their makeup. I got to try their new Airbrush Away Foundation, which gives a good and natural looking coverage and to get the right shade, Jo used their shade matching device. Unsurprisingly I’m the shade vanilla . This was the finished look, what do you think? 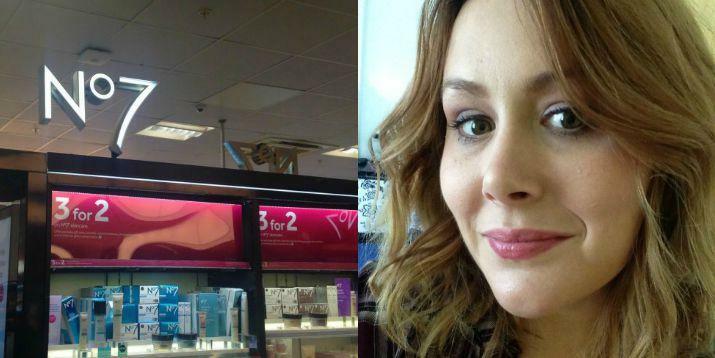 It can be very difficult for people to deal with the visible side effects of cancer treatment and the role of a Boots Macmillan Beauty advisor is to offer advice and support with how to disguise the effects of treatment. One of the noticeable effects of cancer treatment is hair loss, but you might not realise that this loss can also include eyebrows and even eye lashes. Advisors will give you tips and teach how to fill in or draw on a full brow. They can also give you tips on how to create the illusion of individual eye lashes. Jo explained that they offer support in-store, over the phone and the staff of Boots Trinity also work with The Haven in Leeds, a national charity providing personalised care and support for people with breast cancer. So much more is going on at No7 counter than you realise. After my makeover I had a go at the Lemon challenge over at the Benefit makeup counter. 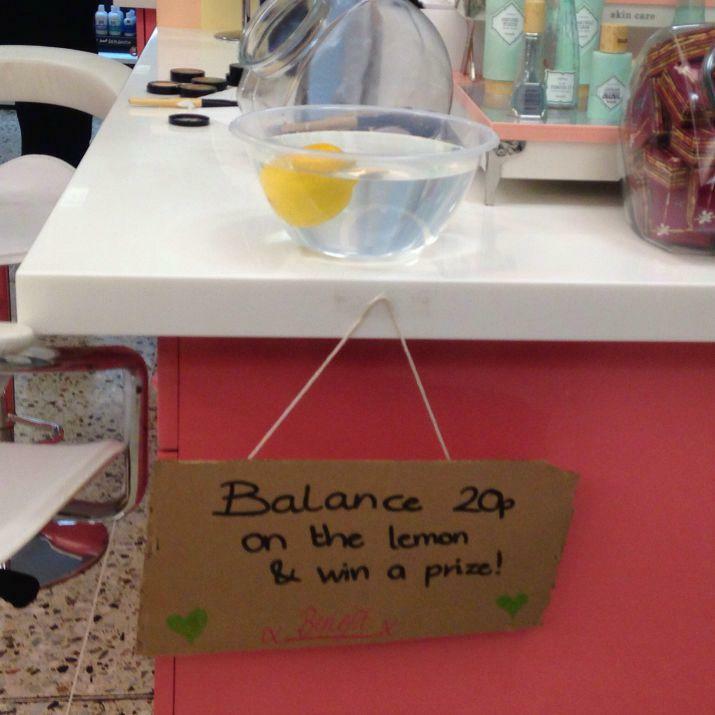 The challenge was to balance a 20p on a lemon in a bowl of water. Impossible to do and I don’t know if anyone was successful, but it’s a fun way to raise money. 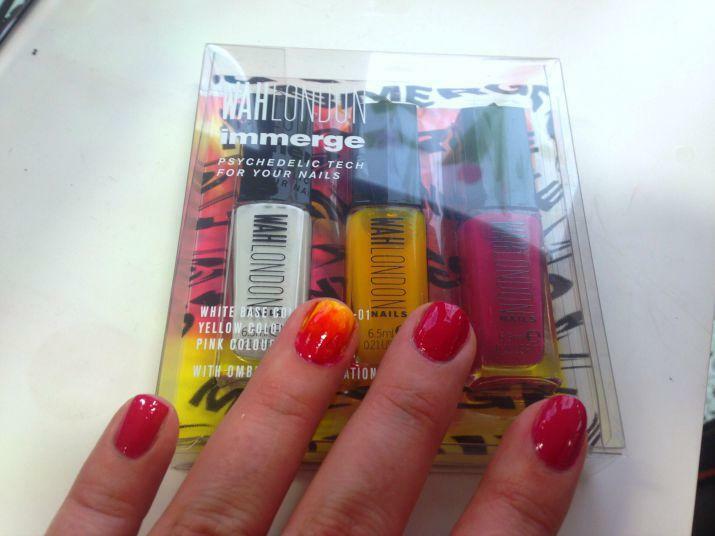 There was also the chance to get your nails done and I got to try The Wah London Immerse The Lava Set which can be used to create a number of interesting effects. I decided to go with ombre and I’m quite pleased with how it turned out. It also lasted a long time without chipping. Sadly I had to leave after getting my nails done, but there was plenty more fun things happening for the rest of the day, including a blind makeup challenge which sounded very fun, if not a little dangerous. I had a great time in Boots and I enjoyed getting to know more about No7 and the important partnership they have with Macmillan Cancer Support.